SaveitKeep, also called Save It & Keep, is a browser add-on which is supposed to help you save time and money when shopping online. SaveitKeep is compatible with Internet Explorer, Mozilla Firefox, and Google Chrome. In order to get the program working on Google Chrome, you have to activate it manually because after installation you will find that the program is disabled. The browser add-on has an official website, which is saveitkeep.infp/index.htm, and it is also possible to acquire it from other websites. It is worth noting that freeware website spread bundled programs. When installing some media player or any other desired program, you may be offered SaveitKeep, which, in fact, is categorized as adware and can be removed from the computer by a reputable spyware removal tool. SaveitKeep is built using the JusPlug.it engine and can randomize its name in the same way as the browser add-on BrowsetoSave does. It means that the letters of the name of the program may be jumbled or some additional letters inserted. 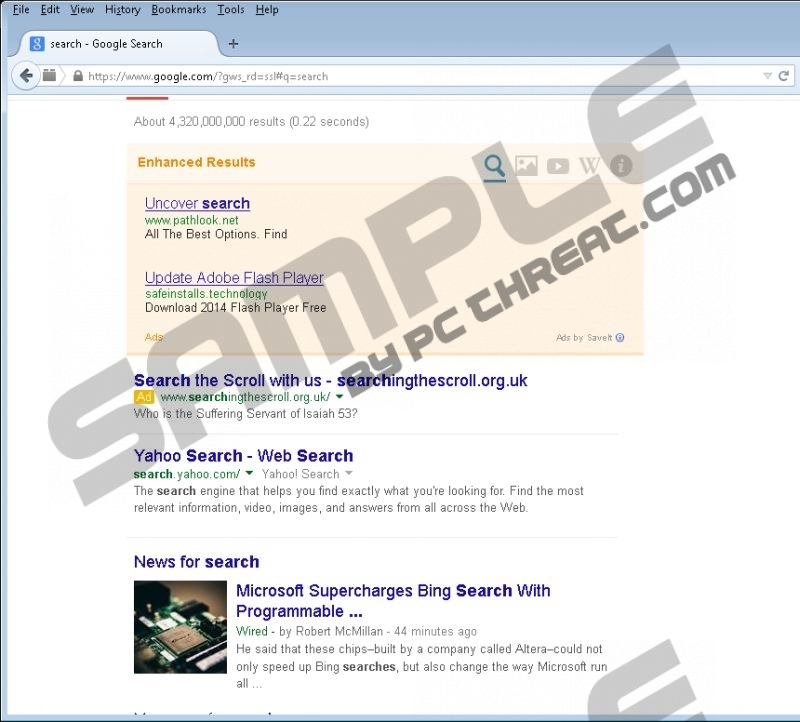 The adware program modifies your Google search results by adding links to third-party websites, which are labeled Enhanced Results. At the bottom of the Enhanced Results box, you will find the phrase Ads by Saveit. Additionally, the Enhanced Results box enables you to browse the Internet faster by providing you with links to Wikipedia, YouTube, and some other popular websites. However, you should keep in mind that the ads generated are not associated with SaveitKeep. SaveitKeep is an ad-supported program and the developers of the program do not review the links which are provided to you. SaveitKeep is not liable for the content of any link, which means that you click on those links at your own responsibility. If you have no intention of using SaveitKeep, remove it from the computer. The adware program can monitor you or even ask you to provide your personal information. If you do not want to put yourself at risk, take action to remove the adware program from your browsers. Below you will find our step-by-step instructions which should help you uninstall SaveitKeep any other undesirable programs; however, we recommend that you implement a reputable spyware removal tool instead of trying to get rid of SaveitKeep by yourself. Your operating system needs protection against malware and spyware, and SpyHunter, a spyware and malware prevention tool, is surely the right choice. It can safeguard the system against Trojan horses, browser hijackers, rogue anti-virus programs, and many other dangerous software programs. Click Uninstall a program and remove SaveitKeep. Select Uninstall a program and remove SaveitKeep. Quick & tested solution for SaveitKeep removal.